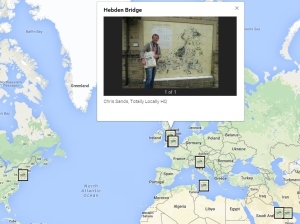 What are you personal hidden-gems in Teddington? 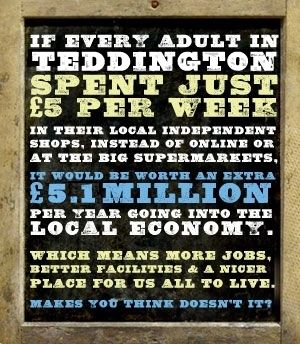 Feel free tweet them to: @TLTeddington or email info@totallylocallyteddington.co.uk. These will help drive the Hidden Gem pages. We’d like to nominate this small, new bread-making enterprise in Teddington. Wonderful bread, including a different speciality bread weekly, delivered to your house on a Saturday morning by the baker – a lovely, cheerful lady with a big smile. It is our favourite Italian in Teddington! Very authentic and delicious food! Fabulous flowers & great service. Dog friendly, nice staff. Open until 6pm, large stock. Lovely friendly staff & excellent food. Perfect for a late lunch. It has bay far the best selection of fresh & tasty cakes in town! Useful advice, big stock, reasonable prices. Best baguettes, crossants, pain au chocolate in London. Allows start up businesses to show themselves off. It contributed to my engagement! Myriad of gifts and general blokey gems. The ladies are really friendly and they love dogs! Great service, they come to your table & are very friendly. It has great homemade produce, uses local suppliers and does a fab cooked breakfast. Lovely staff too. Great advice and very helpful. Great for all your random bits and pieces. It has lots of unusual things and loads of choise. Brilliant food, fab service, such reasonable prices. It has so many lovely things that you can not go in the shop without buying something. Lovely friendly staff! Pop in for fresh bread and a chat. Teddington’s only butcher (need a fishmonger now!) providing amazing meat and great service. Best cheese ever, friendly service. Unique, creative, the extra touch. How many stores do you get welcomed by a butler? (security guard). Because they sell really cool stuff. They do the best sweets. The food is great, and Gosia is very friendly. Because it is so good. Great coffee, lovely smiles, stylish service, a true asset to Teddington! Great steaks + venison and they deliver. It’s awesome!! The cakes are the freshest and most delicious. Brilliant for cards as well as gifts. Lovely atmosphere and the promotion of red lipstick. Because they have really good cakes. Coffee is excellent, service great. Staff knowledgeable & good range. Good local service, knowledgeable, friendly! Helpful staff, free local events. A hidden gem – always a great rescue for a present. Various quirky items and fantastic service, and amazing treats! A warm friendly & personal service everytime we visit! And our dogs love the food! Because the staff are always smiling. Because of the attitude of all the staff and friendly atmosphere! 1of1 has unusual things that there is only one of in the world. Amazing massage at a great price. Exceptional service, friendly & excellent stock! Sweet looking clothes for kids. Good range of toys and girls & boys. Great gifts for all ages. Creative and experimental use of toys. Very knowledgeable & helpful. Keep them in business! Great food, friendly staff. Lovely garden. Great back garden + bacon sarnies. Love my finished bathroom & the quality of work. Really the guy who you can trust. Suits all ages – always friendly and good quality. Very helpful “opening late” days, great quality, variety & presentation. Good place to celebrate with friends. Personalised service and no pressure. The lady who works in there is lovely and the products are unusual! The pharmacist is a nice, friendly, helpful person. Easy to talk to & gives good advice when asked. Lovely range of skin care products, perfumes and natural remedies. I love the Coffee Mill because it has great service and nice people. Friendly, lovely food, great value and great addition to Stanley Road. Help with keys & emergency shoe repairs. Fabulous food – especially the humous! Lovely staff too. Very calming – all treatments. Very good family jewellers. Very friendly & helpful. Good range of services, also watch repairs, pearl re-stringing & other repairs. Fashion jewellery as well as gold, diamonds etc. Unique, fun & great food & coffee! Love the garden too! Everyone welcome whatever age etc. Good music, lovely beer, lovely staff and cheeses on Sunday. Proper old-fashioned pub. Fab lunch deals, great food & very friendly staff who always welcome you back & remember you! Lovely staff, great bargains for a good cause. Good food, good service, relaxed atmosphere. Great food, great location and decor. A gorgeous flower shop with lovely individuals bouquets that will tell your loved that you really do care! Fortnightly comedy with TV names for a tenner! A loyal family customer for years as they are trustworthy and fair. Fantastic unique jewellery & clothes that you find nowhere else. Possibly the friendliest service (though strong competition in TW11) and amazing balloons that last forever and not too expensive. Love it! Great, friendly place. Horses are amazing. Love it, riding for all. It’s unique, in the sun, by the river and has lovely cakes. The food is delicious and great value! Great community service & very friendly helpful staff. Super friendly, even for the novice coffee drinker. Great flavours & new varieties to explore. A pleasure to visit. The food, the atmosphere, Maurice and the amazing chef Massimo! Not a supermarket! Great range! Local, small, knowledgeable staff. A newcomer to the high street with a very talented owner in charge. This Salon is one to keep an eye out for. it won’t be hidden for long. Great fish and chips, freshly cooked to order while you wait or if you telephone they can do it for you ready to collect. They know what they are doing, cooked in groundnut oil, because it gives the best flavour and results. I’ve been going to see Bernie for over 15 years. She’s given me some of the best massages I’ve ever had and she always shows lots of care and thoughtfulness when working with her clients, each of whom she treats as an individual. I really recommend her to anyone interested in massage to stay healthy, to de-stress or just to enjoy. Amazing meze and great friendly diner! It has lovely things and they’re gorgeous. Great gifts for my lovely mummy. Great non-chain coffee! Friendly owners, fantastic lunch offer and fab Italian produce. Great gifts – home-made, welcoming, nice people – great with kids! Excellent everything and cakes delicious! Cakes, cakes + cakes ( + wonderful staff 🙂 ). Staff and service is AMAZING! Great food and service and gossip!! The hairdressers are really nice and they give you Lindors! Supports local artists and builders! Great coffee and great people. Can find perfect pressies here – gorgeous things you might not find elsewhere. I am personally totally committed to this great family run cycle shop. David and Carol are great, it’s a proper old school bike shop. They have always treated me well and added on those extras! Because sport is my favourite thing. The best cafe late in Teddington and eggs-benedict is wickedly sublime. It’s clothes are interesting and loads of choice. Best sweets in the world. It’s been totally fabulous for years! Great gifts – giftwrapped. Great good and friendly staff. Great food – wonderful atmosphere. Because their sausages are great!! I grew up on vintage clothing from jumbles sales in Hampton and it fits in with my eco-warrior persona too! I love the food and unique setting – it feels special going in there to eat. Really nice place to find just lovely stuff. Makes you feel spoilt. A fantastic, friendly local restaurant. 1. Home-made artwork and sculptures (I assume they’re local!) 2. Very helpful. 3. Unusual stock. We love Peppi the manager. Lovely hidden garden and Prosecco on tap! Always have a welcome, no matter size of party or time of arrival. Great gifts and fab service. Friendly atmosphere, great food and drink and we love the piano playing. I have a son, school-age and this is a great place to develop his artistic skills, thank you Happy Potter. They clean clothes in record time, in an emergency! I can find lovely pressies for everyone and the staff are great. Great atmosphere, personal touch and good cakes! Lovely atmosphere, great home cooking. Best coffee in Teddington, lovely people – fab salads. It’s the best kitchen shop – could easily hours in here. Great coffee, nice cakes, good food, friendly staff! Good for advice and lots of bits. Very welcoming, has lots of variety. They have fantastic, often unique pieces of jewellery. Fab food and independent. Vida – great treatments! Good service – fantastic food. I go there a lot and the staff seem nice. Best Indian food in area – very friendly – excellent with my son who has special needs. It has good clothes that fit – unlike the chain stores. Nice to be in – good atmosphere – good service. Staff and service are AMAZING. A warm, welcoming reception every time. All pastries are excellent. I always find something unusual yet practical for the kitchen – great for cards as well! Cracking selection of ales and beers, lovely vibe. Very friendly, lovely presents, beautiful wrapping. Great variety of well-prepared, ready-to-cook meals. Their wonderful hospitality, gorgeous garden and Prosecco on tap! Different and useful kitchen items available. It makes lovely food, and the owers are lovely! Friendly service, unsual atmostphere for a hairdresser. A whole new hairdressing experience! They are always welcoming and very good value. Because the couple who run it are lovely and the food is good and reeasonably priced. Beautiful ambience which makes me want my whole house to look like it’s interior. Good magazines, sweets and small toys, and trading cards. Great pizzas! And kids menu! Fab food, lovely staff and atmosphere! It’s been there over 20 years and is reliable. Because it sells teddy bears which are cuddly. Great food – great drink and friendly and welcoming service. Amazing Fair Trade coffee, amazing smells. Wonderful welcome and great range of food! Fantastic range of toys and helpful friendly staff. Because they make the best cakes in Teddington and always serve with you a smile. They are so lovely and serve delicious food. Fab homemadecakes and truffle oil at reasonable prices. Delicious home-cooked food, great ambience and friendly staff. Love their very Italian cakes / Lovely food. Always very chique clothes and great laungerie. Very helpful staff. Because they have AMAZING clothes!!! When someone is as passionate about your wedding as you are, you know you’re onto a good thing! Thanks to all who nominated your Hidden Gems, played in our Toy Shop wendy house and ravaged our supplies of sweets and goodies at the Totally Locally Teddington stand at Teddington Village Fair! A gut-busting 83 nominations were received and (those that included reasons) are listed below. Yogi reall knows his stuff and if he doesn’t have it in stock, he will do his utmost to source if for you. Excellent customer service! Fabulous food, wonderfully welcoming owner, child friendly play area. Not just flowers – gorgeous nick-nacks and stuff for the home – but the flowers are amazing too! Love this shop. Fiendly & reasonably priced bags & gifts. Because it stocks the most beautiful things!! Happy, friendly, great food & great value. Friendly. My friend found her wedding dress there! An independent coffee shop on Stanley Road, on the school run! Very friendly & fabulous fresh food & pasta! Fantastic food and the friendliest owner around! Hidden Gem is Lensbury Spa – treat yourself to a day 10-4 pm spa – it is every bit as stylish and quiet as upmarket spas and is right here for us to enjoy. Amazing cakes & cheeky Roberto! The staff are friendly, the food is great and they have loads of deals like half price food on Monday – what more could you want?! The food, the service and the atmosphere. Pink star balloon for my daughter, our first purchase in Teddington. Horses are brilliant but the people make it truly the friendliest stables ever. You only need to taste the coffee to know why! Always so lovely, helpful & knowledgeable too. Pepe the manager is extremely friendly and welcoming. Brilliant place for children to have, fun, messy play and be creative. We made daddy a special present for Father’s Day. Individual gift he loved it. It makes you feel as if you are in Italy! Fantastic food, and such kind staff. 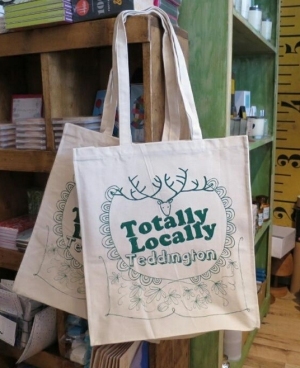 They said they have seen a dip in lunchtime customers since Nando’s and I want that to stop and hopefully Totally Locally Teddington will help. Love the style and the people. Lovely food, great service, processo on tap! And it’s beautiful garden just tops it all off! Results every time, good fun and interesting sessions. Fabulous selection of bread and lovely spicy salamis. Friendly, helpful practical & reasonably priced. Pleasant atmosphere & good place to be. The lady is so helpful. Very Friendly one man business alway useful information and not too expensive. Extremely lovely team and great service. Ambience wonderful & service great. The girls are so friendly and enthusiastic & service is always with a smile. And most importantly food is lovely. Very helpful – even when I did not need a tyre! Food is delicious, staff friendly, very friendly. Real fresh bread and cakes. Not mass produced like bigger chains. Wonderful service, excellent food, fresh, tasty, helpful. Highly recommended. Because their child service is unique! Fabulous food, great service, good value. Truly yummy bread and patisserie, very child friendly. My niece/nephew call it the ‘stage’ cafe because of the decking outside. Super service. It is a lovely little pub that serves the little community around it well. Not many like this left! Friendly, lots of stuff & sweets & magazines for the kids. Gorgeous products, lovely window displays, makes the high street a prettier place! Really good food, nice people, good value. Friendly staff, great coffee and a lovely ambience. It’s fantastic, overlooks the river and the homemade cakes are very very fresh. They have everything, can get it quickly, will custom make it for you e.g. Dulux. Will recommend time-saving tips all with a smile! IT has a lovely range, and my daughter loves it! Best coffee & excellent service. Lovely calm atmosphere. Friendly staff, super massages. Highly recommended for personalised machine based pilates. Sorted out my long term injury problems that have defeated many a physio. Friendliest staff ever, brilliant food, good value. Best Indian food in the area. Amazing new PT for women – pushes and gets results in a very gentle way! Because it does a range of chocolate – dark chocolate with no milk in it. Great food – really tasty & fresh. Friendly welcoming service. We love Roberto, always so friendly. Cakes to die for. I go there with my friends for a great meal out! The owners are lovely! Great products & very friendly helpful service! Fantastic food with warm friendly service. Lovely garden area. The best Falafel salad + very friendly. Great food, that always has a hint of something different about it. Friendly staff, lovely fresh food, great prices. Great fashion, great style ideas and the best sales. Great Indian food at low prices. Roberto friendly & cakes home made. Lunch deal good. Roberto – smart & fun! Whatever you need, they have – no matter what!! The people are the friendliest + the horses are the best. Brilliant for nervy or experienced riders. Great, love it. Best croissants & pain au chocolate. Very friendly – always good food. Brilliant personal service. Top quality. A wonderful selection of vintage items. Great for gifts. Hand made cakes and Roberto is lovely! Bernie offers the most wonderful treatments to help me cope with the stress and pressure of a busy life! All tailormade with fabulous essential oils to suite my mood…. I absolutely love coming to Teddington to have my wonderful therapy with Bernie Douetil. She has transformed my life and I recommend her to all my friends and colleagues. My Hidden Gem is not that hidden – Diner’s Delight on Church Road. I almost live there! They are so friendly but also I think the food is exceptional quality and value. A treatment with Liz Evans is always a calming and reviving experience. Her gentle nature leaves you feeling truly relaxed and nutured. I have been a regular client of Liz’s for many years now (Reflexolgy/Indian Head massage). I cannot recommend her enough. Always have a really lovely seasonal window display. The staff are so welcoming and I love to have a chat with them. I have yet to go in for something that they don’t have. In fact I always come out with more. I cant resist the Emma bridgewater things. My favourite shop in Teddington. Studio148 is a boutique with original features. Very much like Notting Hill style. Beautifully layout with original fire place inside. Some of the brands with Limited Edition shirts are amazing. Must visit again. I would like to give a testimonial for Vidatherapy. I have loved going to Vidatherapy for a course of holistic aromatherapy massages with Anne Moore as it really has recharged my batteries and is deeply relaxing. Vidatherapy is a very calm space with a therapeutic atmosphere. The whole experience helps create some space and much needed ‘me-time’ after taking care of others during the week. I would highly recommend a visit. This lovely shop is unique. The clothes and accessories are beautiful and timeless and reason enough for returning, year after year. But it’s the experience of shopping there which is so different from anywhere else and the people, particularly Jules, who make it so special. For a start, it doesn’t matter what your budget is, you feel welcome as soon as you walk through the door. There’s no pressure to buy but a lot of encouragement to find exactly what suits you as an individual. Perhaps most important of all and something you can’t find elsewhere – friends who care about you and are there for you through the ups and downs of life. Long may TCS continue. I had a last min conference meeting and was so lucky, Studio148 is around the corner from my office. It is the only menswear in Teddington. This is the first time I have been into the store. A sales Lady was really helpful, got nice Eton shirt with smart trouser and Tie. Will definitely recommend and will shop again soon. TCS: The beautiful and unique store that truly is a gem… The window display’s are magical and I always allow extra time on my commute to spend a few moments to gaze at the items within. Jules is truly an artist at what she does. The clothes are lovingly sourced and emphasis is placed on helping develop the elusive ‘individual style’. Perfect…..
It’s nice to find a decent menswear shop in heart of Teddington. Studio148 has eye-catching shirts collection. Every time we pass by, they always have new dressed up window & there my husband pointed me his favourite shirt. I bought him a shirt & blaze with their Facebook discount promotion, well buying. TCS is one of my favourite shops,not just in London but worldwide. My mum and aunt travel from Dublin especially to come and shop at Tcs.The clothes are individual and you feel special wearing everything from the shop. Recently Jules has added astier ceramics which are gorgeous for the home. Can I use this to say a big thank you to all the staff at Teddington Hardware for all their help over the years; this is simply my favourite shop of all times with service par excellence. TCS is my all time favourite shop. A visit there never fails to lift the spirits whether I am just looking though beautiful clothes, talking to the knowledgeable staff or of course buying a wonderful piece of clothing which will be worn again and again. The shoes, jewellery and socks are also a delight and are always commented on when I wear them. TCS is a gem to be cherished. Best breakfast in Teddington with very friendly service. Excellent for children and the outside area will really come into its own when the weather improves. Wonderful pasta, lasagne, ciabatta’s, cakes, coffee and most of all wonderfully friendly people. Great for kids also. I’d like to nominate Moore’s Cycles as nothing is ever too much trouble. If they aren’t fixing a puncture on the buggy, they’re getting one of the family’s bikes back on the road! Great bunch of guys. I just would love to comment on this lovely shop TCS which I stumbled upon over 17 years ago and have been loyal ever since. With it’s fashion concise edge and its loyal and helpful staff are a few of the many reasons I keep coming back. But I couldn’t finish with out saying it wouldn’t be possible with out a strong tasteful woman named Jules. Thanks and I wish them many years of continued success. TCS = the clothing store with a difference! I work at Haymarket Publishing and have found Studio 148 to be a godsend. They stock a fantastic range and are on-trend with Bond Street collections. There are so many, but want to nominate Moores Cycles. They are always so helpful and friendly. TCS is one of my favourite shops. When I’m looking for something really special, I know it will always deliver. The staff are brilliant, really helpful, and the stock never fails to inspire me. La Bottega is amazing – quality and value – don’t know how they do it for the price – wish they had more space as always full! I have shopped at this delectable fashion outlet for years! Everybody that I have introduced to the ambience and the contents have been seduced by the beautiful clothes and accessories, just like me! My 80 year old neighbour begs me to take her every time I go to TCS and has valued her purchases! To be admired for unique style, elegance and sophistication, visit the friendly and welcoming shop at your leisure, but keep an afternoon free to so do! Millers butchers. Great food. Friendly service. Convenient. Great range of meats. A West End Boutique in the heart of Teddington! Quite definitely the finest shirts and jackets you will find south of the river accompanied by charming service in a relaxed environment. Next to train station – excellent work at fantastic prices. TCS is the best clothes shop I’ve ever been to (and that’s saying something..). It’s a blissfully refreshing change from all the usual high street stores. The stock is incredibly special and although it might seem a bit on the expensive side, I’ve always found that cost-per-wear compares brilliantly as I keep the TCS clothes forever and they continue to look good long after cheaper pieces have been consigned to the charity bag. The staff know a lot too – you can trust them to help you put items together in a way that’s that bit different and exciting. Studio148 is unique, boasting the latest menswear trends, this is a fine place for the dapper and dandy. As a past customer at the salon’s previous location, I was pleasantly surprised by the spacious premises and delighted to find that the personal attention and high quality facials were still the order of the day. The therapist could not have been nicer and put me at ease immediately and a very relaxing hour later, I left with my skin looking revitalised. I was delighted to find that the effects have lasted for weeks and I now intend to ensure that I treat myself to more regular visits. My hidden gem today is Synchronicity Church Rd. Great personal training service for Power plate. It is nice to have a special menswear shop in Teddington, with an excellent range of designs, colours and quality. Always something new and different. I bought a Sand linen jacket, Brax chinos and Geox suede loafers, all very wearable. I’ll be back. Apollo Motors- as a completely non- car person. I don’t know how I (or my car) would have survived without the boys at Apollo. Totally reliable and never patronising! TCS is a wonderful little shop – with fantastic staff. I often pop in just for a chat! Inevitably end up buying something. We are very lucky to have such a gem in our midst. Chain stores begone – wish there were more shops like TCS! I must write to mention Simply Skin on Broad Street – simply superb! Not only did I enjoy a fabulous massage that banished the stress and tension of everyday life, but also picked up a great shaving kit. Great service from friendly, capable and knowledgeable staff in a pleasant environment, right on the doorstep! Always find great, stylish, quirky gift for any occasion and best greeting cards in town in my opinion…all since 2001 so far I remember. TCS: beautiful, unique, quirky, stylish clothes store. I think we’re really lucky to have this on our doorstep, rather than having to schlep into London. The clothes I have bought here are always the ones that people compliment me on and they are also the clothes that I keep and wear year after year after year. It’s the kind of shop that adds to the mix and makes our High Street so special. A.G. Miller – organic butchers in Waldergrave Road. Wonderful meat, chutneys, jams and great personal service. Cooking advice always works. An Aladdins cave for garlic lovers too. My hidden gem is Studio148. I live in Teddington past 10 years and never knew about Studio148 menswear until last week, recommend by one of my friends. I bought a few beautiful shirts by Robert Graham & Henry Arlington for my other half for his birthday present and he is loving it. Very pleased with my them. Beautiful shop with interesting shirts, very unique. Something you can’t find everywhere. Very helpful staff. Also bought few pairs of socks on bargain Fiver Fest for £5. Totally love and support your campaign. Here are my hidden gems in Teddington. Diner’s Delight: you have to stop by during the evenings for the Turkish fare. It is extremely fairly priced, always fresh and delicious, and the staff couldn’t be lovelier (we always get a hug when we walk in). Cavan bakery: I don’t know what my weekends would be like without a fresh loaf (seeded bloomer) from them every Saturday morning – fantastic! My hidden gem in Teddington (well, there are two, actually three) are: Charm Thai because the food is always brilliant and the staff are lovely, polite and helpful, and The Loft, which is simply a brilliant place for presents and quirky items for around the home. I also love Teddington Hardware because the staff are always happy to help you find or order something, and don’t mind you (women like me who are clueless) asking stupid questions! My Hidden Gem is Stevens tyres, I cannot believe we have such a brilliant local Tyre shop in Teddington. Its my Hidden Gem. Really friendly and professional people. It’s a family run Business, great value, and not the feeling that you are being ripped off, which I always feel in “large” tyre shops as a single woman. Got a fantastic deal and so much cheaper than any tyres I have previously bought. Would definitely recommend. I’d already heard great things about Elements, but to experience it for myself, was something else. Simply me, the beauty salon finished my day off nicely! This is a hidden Gem because Bernie massages away your aches and pains with lovely oils on a heated couch. Bernie always gives a warm welcome. Synchronicity Powerplate studio on Church Rd is my hidden gem. I hate gyms and exercising but 2 power plate sessions (25 mins each) a week is easy for me to fit into a busy week. Emma is a great trainer and makes the classes fun and different each time so you never get bored of working out. She will also tailor exercises to suit you, whether you want to focus on cardio, core strength or pilates type exercises. My core strength has greatly improved since I started exercising with Emma a few years ago. Astrora – the ground coffee is lovely (transports you to Peru, Brazil, Tanzania instantly) …and the lovely lady who runs it always lets my children smell the coffee after it’s been ground – they love going there! Physio & Therapy – my favourite place in Teddington for a seriously good sports massage! La Bottega – Great value, fantastic food and excellent service. I would recommend Charm Thai, there lunch menu is great value at £8.95 for starter main and a drink. Friendly atmosphere, and the food is always great! It’s got to be the vinery cafe. With all these Christmas social events coming up their good value full English with a pot of coffee is a win. Great food (paninis are unreal), great prices and lovely staff members. I have been going to Vidatherapy since it opened. Over the years, I’ve had Aromatherapy, traditional and sports massage, Reiki and Hot Stones. Whichever therapist I’ve had, all treatments have been comforting and wholly restorative. Vidatherapy is definitely a ‘hidden gem’ as the moment you enter the lovely spa waiting room you instantly feel relaxed. I have been having massages (and pregnancy massages) with Anne for 2 and a half years now and am so glad I found it as they are amazing – Anne always makes me feel very welcome, she takes time to listen to how I am feeling and her treatments are total pampering and relaxation! This friendly family run cafe is a hidden gem on Church Road. Breakfasts and Turkish food their speciality. Friendly welcome, great pasta and cakes, and brilliant with children. The hardware shop, AG Miller, Astrora Coffee, La Bottega, Teddington Cheese, Cavan Bakery, Teddington Arms, Prem, Thai Charm and Retro! I recommend Nearestcafe – an unassuming place with a heart of gold and a menu guided by local sourcing. I vote @PlanB_Fitness! Brilliant individual/group fitness & boxing sessions – friendly,encouraging,social & gets results too! Simply wonderful delicatessen in the heart of Teddington. Roberto works his socks off making delicious cakes that accompany the great coffee and the staff are so friendly here. Huge treasure trove of fine Italian foods you can assemble yourself at home too. I second La Bottega. Fab cakes and fast friendly service. Seconded the hardware store. Teddington Essentials are also a gem. Play Inside Out has a fantastic selection of toys and plenty of areas for the children to interact with them. Happy Potter is extremely creative with great workshops for kids and Adults. Big shout out for Teddington Fish Bar on Kingston Rd. You can order by phone. Haddock! Hidden gem…Charm Thai! Best massaman I have EVER tasted including ones I ate in Thailand and the prices are great too. I heartily recommend C & H Prototype, Unit 4 Princes Works, Princes Rd for great printing jobs & friendly service. La Bottega for more than just fabulous cake & coffee….. those chaps really are the housewives favourite! & The proper Hardware Store. I can’t look dumb in there for more than 5 seconds without one of them rushing to assist! Mooca Cafe is the way forward! Independent, owned by the lovely Ali and Yana, amazing service! Just bought some lovely Xmas gifts in Mitzi B. Good job PT client cancelled! Only discovered a couple of weeks ago but v impressed. Lovely people and food. Independent family business Instant Print High Street Teddington for everything stationery. Everything horse related! Pony birthday parties, pony club, a friendly safe haven for kids.